We can all learn a lot from the wisdom of Novak Djokavic and his rise to one of the most complete athletes on the planet. His effortless and relentless consistency is incredible, given the demanding nature of elite sport. And some of his wisdom might not be what you are expecting to hear. Most recently he has suggested his success is down to marriage and fatherhood. He even suggests that every player “should get married, have kids and enjoy this”. Unfortunately other elite players have tried this strategy without the same impact. What underlies his flippant comment about marriage is the key component of balance in life. This balance is especially potent for tennis players because of the extremely demanding circuit. Balance is a key ingredient for us all. Another key cog in his success is the practical use of mindfulness on and off the court. He says that “the best minds are clear minds” and that he has done so much mindful meditation that flow continues on the court. Bringing awareness into your body deeply will bring incredible results. There is wisdom in the body that knows instinctively how to respond to any given situation. Sport forces the body to respond every moment and gives instant feedback. This is applicable in every field. Fear and doubt reside inside his mind and he says that he was sure he wasn’t in the same league as the Federers. He still gets these “flashes of self- doubt” and has learnt to let them slip by and come back to the moment. Many people are surprised to hear that the greatest athletes suffer from doubt and fear and it can be assuring to know that its part of the human condition. Just like these great athletes, we all have the possibility of turning down the noise of the brain. The next aspect of his success I want to highlight is responsibility. He chooses to look at the mistakes within himself, rather than blaming external sources. He fully owns responsibility for his own life and this is tremendously powerful. He focuses on internal competencies rather than finding confidence in the external world, which is beyond his control. He appreciates that he is only in control of his own behavior and responses to the external world and this is very empowering for us all. 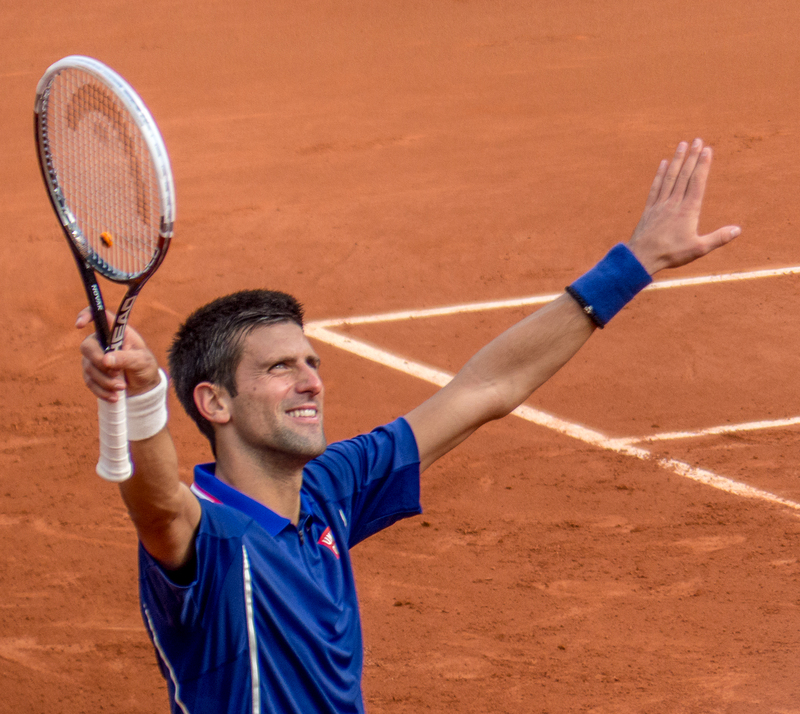 The final nugget from the Djokovic treasure chest is his growth mindset. Despite finding himself at the top of the tennis tree, he maintains his desire to grow in every experience. He looks into every aspect of his life for growth opportunity. He changed to a gluten free diet and credits success to emotional work he does off the court too. Being a life long learner gives us energy and inspiration to refresh and renew and will give us a different perspective. Wherever you find yourself in life, his key concepts of mindfulness, responsibility, growth mindset and balance will serve you well. And if this fails, you can always go out and get married and have a few kids.